Would you like to trade full time but don’t have the time to do it? Now I offer you my Automatic Trading System Service. You can do whatever you like to do everyday and let me do the hard work. When I place a trade in my live account, the Automatic Trading System Service will send the information to the subscribers platform and set all parameters automatically. And if I adjust something or close a trade, then the system will update this automatically as well. What I do in my account will be mirrored to your trading account. All you have to do is installing a Software for MetaTrader 4 (that I will send you for free when signing up). Then you can decide if you want to trade a fixed price or one that the system calculates automatically based on your account balance. 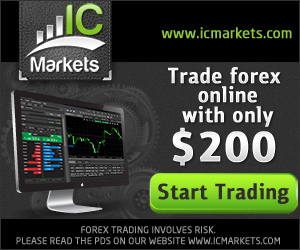 You will only pay €20 a month for this Automatic Trading System Service. But of course you can try it for free for 7 days to see if you like it. I am in front of my trading computer and I see a good forex trade opportunity on my screen. My live account size is $1000 and I place a trade with one mini lot (0.10) and I set the Stop Loss and Take Profit and trigger the order. Within a second this trade is sent out to the subscribers receiving system. And the trade is sent to their broker to make the trade. John in Australia have a small account ($200) and he have the system settings based on balance. So the signal he is receiving from me will calculate his lot size based on his account balance. Since his account balance is 20% of mine, then the trade will be 0.02 for his trade (2 micro lots, which is 20% of the amount I traded). But the Stop Loss and Take Profit are the same. The system is making these settings automatically. Sara in England have the same account as me ($1000), but she used the setting for a fixed lot. She have set it to always trade with a 0.05 lot. So when my signal trigger her system, then it will take the same trade as I did, with the same settings. But instead of my lot size, her trade will always be 0.05 lots (unless she change the settings). Heinz in Germany have a nice account ($2.000) and he use the balance setting, just like John did. But Heinz have an account which is twice my size, so his lot size for this trade will be 0.20 lots. And if this trade ends in profit, he will make twice as much money as I did in the same trade. If I, for some reason, think that the market will continue in the right direction, I might move the Take Profit level so it can move a little further before closing the trade. And I can also move the Stop Loss so it will be above the breakeven level. And as soon as I move these levels, the system will send out a signal to all subscribers and change the settings within seconds. All my modifications will be adjusted on the subscribers account as long as they are connected to the internet. And every trade I take is on my own private account with my own money. So if I lose money, you will lose money. And if I make money, then you will also make money. So, what I do on my account will be copied to your account as long as you run the software and subscribe to my system. Fast signals execution with Stop Loss, Take Profit, fixed or calculated lot size. It’s important to run this on a VPS or a computer that is always online, since my system need to send information when it’s opening or closing or even modifying a trade. This might even happen in the middle of the night (depending on where you live). So, you should check out my info on the first page (if you haven’t got a VPS service to use or a computer that can run day and night from home). It’s really, really cheap to use them. The Auto Trading System Service will be using my manual trades and sometimes I might use a trading robot to take care of the open trades. But I will handle the individual trades to control the Take Profit and Stop Loss levels. For this account I will usually try to reach 1–2% per trading day. The max risk is set to 3%. Sometimes there might be more trades and sometimes not. I usually wait for the market and my indicators to show me a trade before opening a trade. Sometimes I might do some scalping. It all depends on what the day looks like. I calculate the % from a small live account I use for the manual trades. I also copy myself to a larger account to trade just the way you will do when copying me just to be able to make more money based on my account size. When you subscribe to my Trading System I will send you all the details how to install the robot and how you can change the settings so it works for you. So, sign up today and try it for free for 7 days. And if you don’t like the result, then you can just unsubscribe. Run it on a demo account for a couple of days and then just let me know when you want to switch to a live account and I can change the account number that will be receiving the trades. It’s really easy. I recommend an account with 1:500 leverage, but you can always change the settings that suits your account. All I need is your trading account number and your e-mail. MANUAL TRADING – Automatic Copy of my trades for only €20/month. The robot is limited for a certain amount of users, so make sure you join me now if you want me to trade for you. Click the subscribe button below and it will take you to PayPal secure payment where you will set up an account for your subscription (if you haven’t got PayPal already). And when I have added you to the system you will receive an e-mail with the robot and instructions how to add it to your MetaTrader 4 trading platform. If you want to unsubscribe you only need to do it with PayPal. Just log in and unsubscribe before a new subscription period is starting. You can unsubscribe whenever you like. ROBOT TRADING – Automatic Copy of my ROBOT trades for only €20/month. This system is something different. This one is taking trades with the help of a trading robot and it is only running the GBP/JPY. And this one includes hedging, so you must be able to use hedge orders (not for US citizen as far as I know). It will take trades in the direction of the trend and if the trend turn then the robot will use a grid to get out of the trades and also take some new orders in the opposite direction. During this time another robot is making profit in the opposite direction. It’s fully automatic and uses both grid and Martingale, but since it’s two separate robots working in opposite directions all the time, it is a lot different than other strategies working with a grid or Martingale. And so far it’s been doing a great job. This is not the robot that is available on my website. This is one that I’m not selling and it uses two EA’s to trade, so it’s a little special. The robot is limited for a certain amount of users, so make sure you join me now if you want to copy the robot trades. Click the subscribe button below and it will take you to PayPal secure payment where you will set up an account for your subscription (if you haven’t got PayPal already). And when I have added you to this system you will receive an e-mail with the robot and instructions how to add it to your MetaTrader 4 trading platform. I suggest you run this one on an account with at least €600 Euro (or $600) and not running it with my other trade copier. This will work better if you run it on a separate account. If you want to unsubscribe you only need to do it with PayPal. Just log in and unsubscribe before a new subscription period is starting. You can unsubscribe whenever you like. Try it on a demo account to see how it works. Then just let me know when you want to go live and I will change your account number in the system. Since you can try it for free for 7 days, you have nothing to lose if you try it on demo first. So far there haven’t been any day with a loss. By using this Forex Robot, you acknowledge that you are familiar with the risks and that you are solely responsible for the outcomes of your decisions. We accept no liability whatsoever for any direct or consequential loss arising from the use of this product. The Data Protection Ordinance (GDPR) applies as law in all EU member states as from May 25, 2018. Processing of personal data under GDPR: When signing up to upordown.eu we save information about your name and e-mail address, what service you have registered for with us? This information is stored in our computer system. We use this information in our administrative work and about the activities at upordown.eu. You have the right, under Section 26 of the Personal Data Act (1998: 204), to be informed, free of charge, once a calendar year, after a written email has been submitted to us, what personal data is stored about you and how we treat them. You also have the right to request a correction in accordance with section 28 of the Personal Data Act regarding personal data that we are processing about you. The age limit for registration upordown.eu is 18 years. We never share or sell the data to third parties. With your registration, you agree that upordown.eu will process personal information about you in accordance with the above.